New Solutions for House Museums is called a “best selling classic” by A.A.S.L.H. The book is available as an e-book for all types of e-readers. Donna Ann Harris is the principal of Heritage Consulting Inc., a Philadelphia-based certified WBE consulting firm in NJ, DE and PA that works nationwide providing training, research, coaching and consulting services on historic preservation, audience development, volunteer management, heritage tourism, program planning and organizational development issues for historic sites, downtowns, and community-based organizations. She her vita here. Prior to starting her firm 15 years ago, Ms. Harris was State Coordinator for the Illinois Main Street program for two years and the manager of the Illinois suburban Main Street program for four years. During her tenure as State Coordinator, Ms. Harris served 56 Illinois Main Street communities, led a staff of 12, and managed a budget of $1.1 million dollars. Since 2002, Ms. Harris has worked with state, countywide and local Main Street programs in 23 states. She has made 18 presentations at the National Main Street Center annual conference in the last 11 years and at the International Downtown Association annual meetings in 2018, 2013, 2009 and 2008. Ms. Harris has published six feature articles in the National Main Street Center’s quarterly journal, Main Street Now: “A Bakers Dozen: Thirteen Myths about Main Street Boards” (Winter 2015); “Illinois Main Street Back on Track: Case Studies” (July/August 2012); “Make Your Case: Triple Your Membership” (September/October 2010); "Make More Money from Members," (August, 2008); “Is a BID Feasible for Your Town? Ten Questions to Ponder,” (April 2007) and “A Valiant Effort” and “What You Can Do, Lessons From Illinois Main Street,” (January 2005). Ms. Harris is an active contributor to the Main Street Center’s blog Main Street Weekly and recorded a webinar for the National Main Street Center in September 2015 on Year-End Giving. Ms. Harris was a featured instructor at the new Main Street America Institute speaking on Comprehensive Revenue Strategies in March 2016 and again in March 2017. Prior to her Main Street career, Ms. Harris spent 15 years as an executive director of three start-ups and two mature historic preservation organizations. During these positions in New Jersey, Pennsylvania and Illinois, she began membership drives, lead strategic planning efforts, organized conferences, public relations efforts and led a capital campaign to purchase an open space parcel.. Ms. Harris raised more than $3.75 million in grants and sponsorship dollars in her early career. During this period she managing staffs ranging in size from two to eight, and was responsible for organizational, project and endowment budgets of up to $2.6 million. 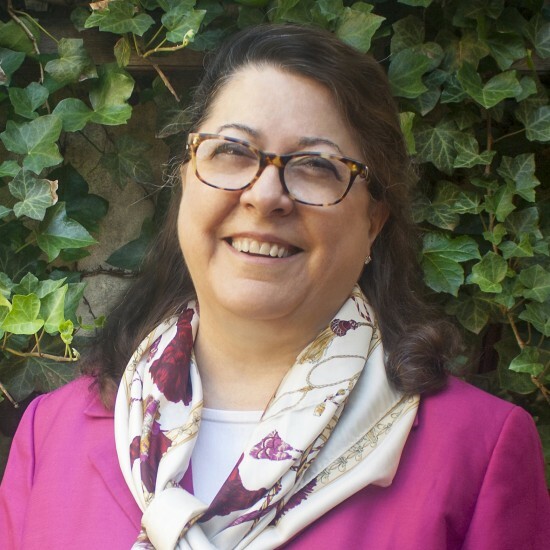 As a preservation planner with more than 35 years of professional experience, Ms. Harris has assisted citizen groups and government agencies in identifying appropriate reues for threatened historic properties to ensure the long-term preservation and maintenance of the site. In the past twelve years, Ms. Harris has spoken about and consulted with historic house museums around the country, alternative uses and stewardship responsibilities. Ms. Harris provides reuse plans, feasibility studies, case studies and business plans for program expansion, reuse or repurposing of historic sites and house museums for clients nationwide. 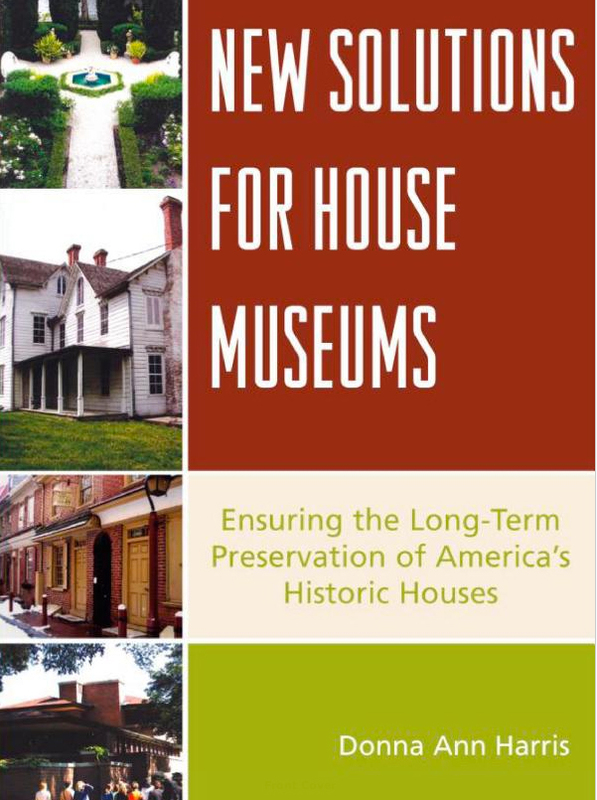 AltaMira Press published her book, New Solutions for House Museums: Ensuring the Long-Term Preservation of America’s Historic Houses, in 2007. She is at work on a second edtion to be published in 2020. Ms. Harris has published articles about reuse of historic house museums in History News, the quarterly magazine of the American Association for State and Local History and Forum Journal, the quarterly journal of the National Trust for Historic Preservation. In the past eight years, Ms. Harris has spoken at more than 35 national, regional and statewide conferences about her house museum research. Ms. Harris will publish a chapter "The Essential Role of the Board in Reimaginig Historic House Museums" in the upcoming book Reimagining the Historic House Museum: Catalysts for Change, edited by Kenneth Turino and Max van Balgooy. The anticipated publication of their book is in 2018 by Rowman and Littlefield. created business plans for program expansion at the historic house, farm and garden at Wyck in Philadelphia PA.
For the last ten years, Heritage Consulting Inc. has undertaken heritage tourism assessments and plans. The major work product for the Camden County History Alliance was a year long Heritage Tourism Plan and nine day event Camden County History Week. We produced heritage tourism assessments for the Glover Fulling Mill Park in Haddon Heights NJ; the Jacobus Vanderveer House in Bedminster, NJ; St. Mary’s Episcopal Church in Burlington, NJ; Jacob’s Chapel and Colemantown Meeting House in Mt. Laurel, NJ; Woodbridge Township NJ; Barrow Mansion Development Corporation in Jersey City, NJ and for Main Street Lansing IA. Heritage Consulting Inc. has conducted audience research projects (surveys, focus groups, interviews) for preservation organizations, including Camden County History Alliance, the Preservation Alliance for Greater Philadelphia, Delaware County (PA) Planning Commission, Preservation New Jersey, Wyck in Philadelphia, and the Whitesbog Preservation Trust, NJ. Heritage Consulting Inc. has conducted and created reports on extensive consumer and stakeholder surveys for downtown revitalization clients such as the Ardmore Initative in Ardmore PA, South Street Headhouse District, Philadelphia, PA, the Metuchen Downtown Alliance NJ, a second strategic plan for South Street Headhouse DIstrict Philadelphia, Tacony CDC in Philadelphia PA, Lawrenceville NJ Main Street, Downtown West Orange NJ Alliance, Roxborough Development Corporation in Philadelphia PA, Tacony Community Development Corporation, Philadelphia PA; Main Street Vineland, NJ, Montclair Center, NJ, Howell Main Street DDA in Michigan, Ortonville DDA in Ortonville MI, and the Downtown Somerville Alliance, NJ. Heritage Consulting Inc. has completed strateic plans for 18 clients includinng 12 for Main Street New Jersey communities as well as for downtown clients in IL, MI and Philadelphia, PA.
Ms. Harris has presented workshops on a variety of fundraising and board management topics at national and state Main Street conferences for the last twenty years. Ms. Harris earned a Master of Science degree in Historic Preservation from Columbia University in New York City and a Master of Public Administration degree from the Fels Center of Government at the University of Pennsylvania in Philadelphia. She holds a BA in both American Studies and Art History from the State University of New York at Albany. Ms. Harris is a Certified Main Street Manager, a credential from the National Main Street Center. Ms. Harris’ experience meets, and exceeds, the minimum professional qualifications defined in the Code of Federal Regulations (36 CFR 61, Appendix A) for an architectural historian.